Pier 38 is another gem add on to cyber hub city. This is an amazing place to have Arabian-Persian-Lebanese cuisine !! The ambiance of this place was scintillating and spacious with dark lightening and huge bar, they also have outside seating arena. The decor of Pier 38 is mostly done in wooden work which can be seen in its wooden gate entrance, seating table chairs or its ceiling !! Coming to the food, they have extensive menu with different varieties of cuisines, Lebanese, Arabian and lot more. 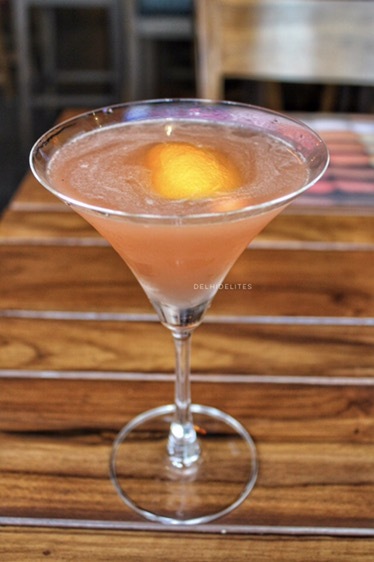 > La Orange Cosmo – It’s a concoction of fresh oranges infused with vodka and cranberry juice. A variant of Cosmopolitan it is! 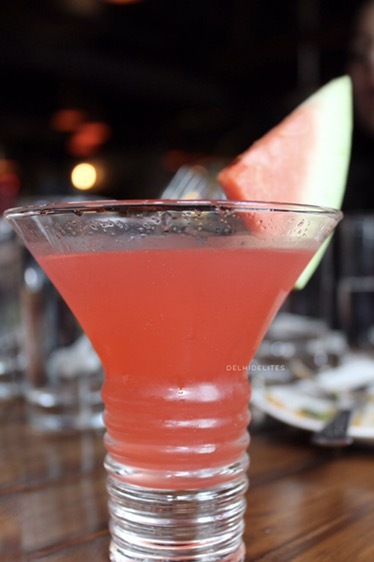 > Red sea – Refreshing vodka based drink with watermelon taste. Loved it, you should definitely try this.